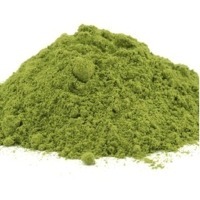 Browse herbal-extracts suppliers by country and region. 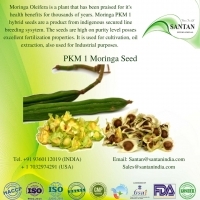 Organic Moringa Oil is used in a wide range of products from pharmaceutical, cosmetic, health and beauty industries. The oil has many amazing properties not typically found in a single source. 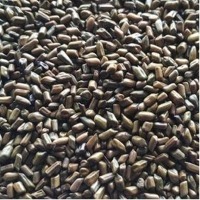 In addition to the oil?s high levels of oleic and behenic fatty acids, the oil has antioxidant and antihepatotoxicity properties. 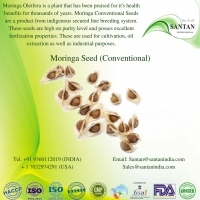 Specialties Natural with aroma No additives and NON GMO Rich in vitamins, phyto nutrients, antioxidants, amino acids , Behenic fatty acids, and has antihepatotoxicity Cold Press extraction method Germ free technology Sterile packing Moringa oil comes from the seeds of the Moringa tree. 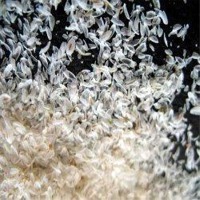 Seeds have an outer hull protecting an inner seed kernel. 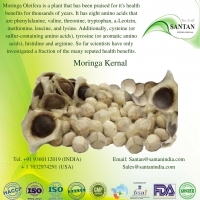 The seed kernel typically extracted by compressing the Moringa seeds in cold press extraction method. 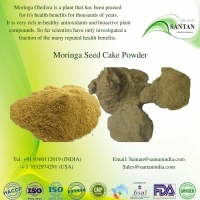 Cold pressing oil, which produces the highest quality product, also extracts the least amount of oil from the seeds, since external heat is not applied for this cold press extraction method. 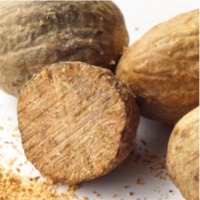 Benefits Lowers Blood Pressure Skin & Hair - This oil is a great moisturizer for your skin. 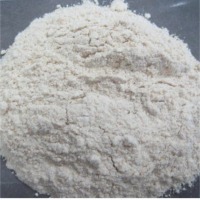 It has Behenic acid it absorves well in cosmetic products. 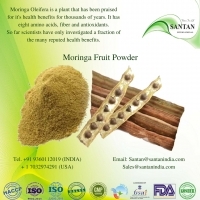 Due to its strong anti-fungal action, Moringa oil helps combat fungal infections, such as athlete?s foot, or ringworm. 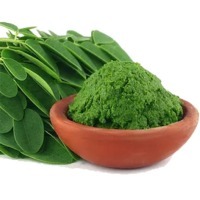 Liver - When used as food, Moringa oil can improve the condition of the liver. 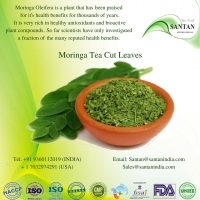 A study monitoring the blood serum AST levels has shown that Moringa oil lowers the markers that indicate liver damage. 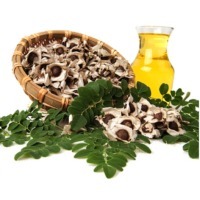 Arthritis - Moringa oil can help alleviate arthritis pain. It can be applied directly on the sore spot to reduce inflammation and swelling. 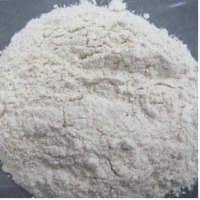 It can also help with joints pain and gout. 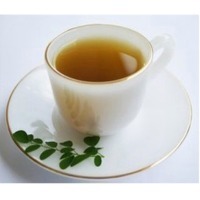 Gums- It improves gum health or to reduce inflammation, massage moringa oil on the gums. It can help in case of swollen or bleeding gums. 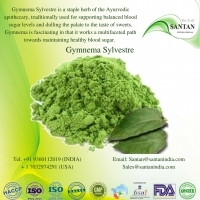 Specialties Natural with aroma No additives and NON GMO Rich in vitamins, phyto nutrients, antioxidants, amino acids Germ free technology Benefits Moringa is used for tired blood (anemia); arthritis and other joint pain (rheumatism); asthma; cancer; constipation; diabetes; diarrhea; epilepsy; stomach pain; stomach and intestinal ulcers; intestinal spasms; headache; heart problems; high blood pressure; kidney stones; fluid retention; thyroid disorders; and bacterial, fungal, viral, and parasitic infections. Juniperus communis Fam: Cupressaceae Juniper is widely distributed throughout the northern hemisphere and its birthplace is obscure. 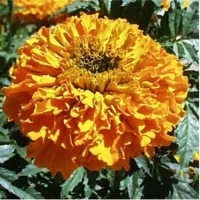 It is found in Europe, North Africa, North America and northern Asia. The main commercial producers are Hungary and southern Europe, especially Italy. The berries were known to Greek, Roman and early Arab physicians as a medicinal fruit and are mentioned in the Bible. In the Renaissance, they were recommended against snake bite, and plague and pestilence. Because of its air-cleansing piney fragrance, the foliage was used as a strewing herb to freshen stale air and the Swiss burned the berries with heating fuel in winter to sanitize stale air. Gin, the alcoholic drink that gets its unique flavour from juniper berries, is named from an adaptation of the Dutch word for juniper, "geneva". 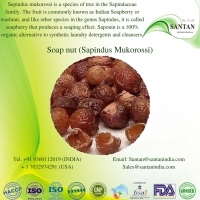 Spice Description Initially hard and pale green, juniper berries ripen to blue-black, become fleshy and contain three sticky, hard, brown seeds. When dried, the berries remain soft but if broken open one will find the pith surrounding the seeds is easily crumbled. Bouquet: Fragrant and flowery, combining the aromas of gin and turpentine. 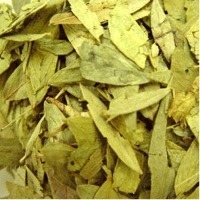 Flavour:Aromatic, bittersweet and piny. Hotness Scale: 1 Preparation and Storage Juniper berries are at their best when they are still moist and soft to the touch, squashing fairly easily between one's fingers. It is possible to make a purée from juniper berries or to extract the flavour and aroma by macerating them in hot water, but as all parts are edible and the texture is agreeable, it is usually just as well to use the entire fruit, split or crushed. The berries are quite powerful, one heaped teaspoon of crushed fruits serving for a dish for four people. Store in a cool place in an airtight container. Culinary Uses Juniper berries perform a quite unique role, by contributing as much to the character of food through their 'freshening' ability, as they do by way of their specific taste profile. As well as flavouring a dish, juniper cuts the gaminess of game, reduces the fatty effect of duck and pork and perks up a bread stuffing. The strong hearty flavour of juniper goes well with strong meats, such as game. Pork chops, roast leg of lamb, veal, rabbit, venison and wild boar are all enlivened with a hint of juniper. Juniper berries blend well with other herbs and spices, especially thyme, sage, oregano, marjoram, bay leaves, allspice and onions and garlic. One application I am particularly fond of is in a simple chicken casserole, It can effectively be added to wine marinades for meats, and is used with coriander in smoking meat. It seasons pâtés and sauces and in Sweden. Goulash and Sauerkraut often feature a juniper taste, as do some home-pickled meats like salt beef, salt pork and ham. 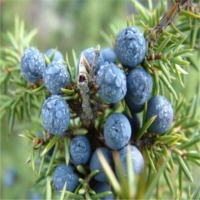 Generally juniper can well be used in any dish requiring alcohol. Fruit dishes, such as apple tart and pickled peaches, also harmonize with this flavour.